Plays on your Borg. 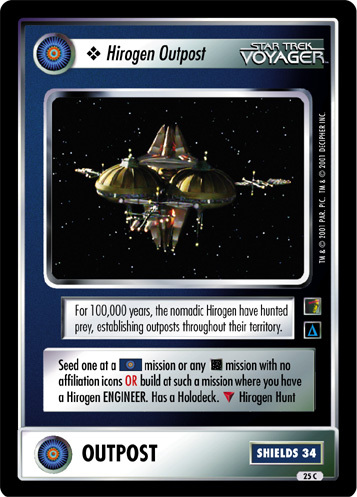 If a Borg, once each turn, may "transfer data" if present with a Borg Data Node: draw one card (may not be converted to a download). 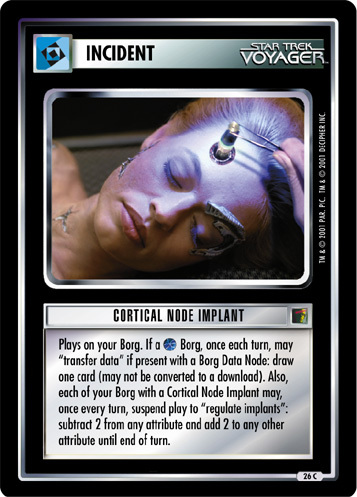 Also, each of your Borg with a Cortical Node Implant may, once every turn, suspend play to "regulate implants": subtract 2 from any attribute and add 2 to any other attribute until end of turn.